This collar-length offers several attractive options. Due to its length, can be worn as a easy thread with necklines high or round. 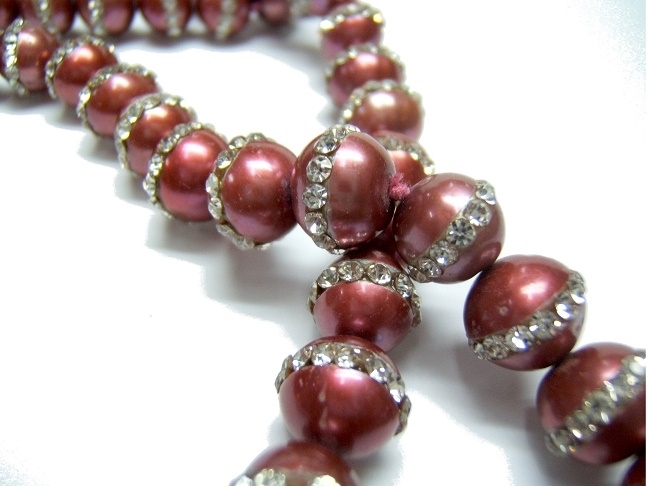 This collar is gaining popularity in the fashion trends of today.Traditionally, this necklace was used for evening gowns and gala, giving way in the present to uses the more casual and informal, using pearls are not round, and bringing some freshness to the style of fashion.This necklace has no closure. Collar 'without end'.